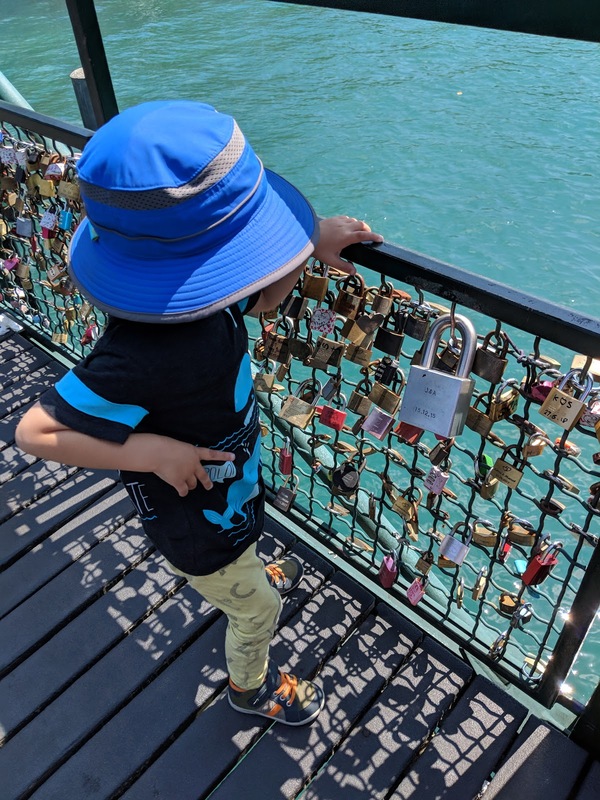 The littles found the biggest padlock on the bridge overlooking the Limmat River. When you think of love locks, the first thing that comes to mind is the Love Lock Bridge in Paris at Pont Des Arts. The city of Paris have started removing all the padlocks at the bridge back in 2015 ending the tradition of attaching "love locks" on the bridge. It is not to say that if you are interested in attaching a padlock on a bridge, that you can't do so anywhere else, since love locks have increased their proliferation across the world. A love lock typically features a couples names or initial and attached to a bridge or gate, with the key being thrown away, to symbolize unbreakable love. 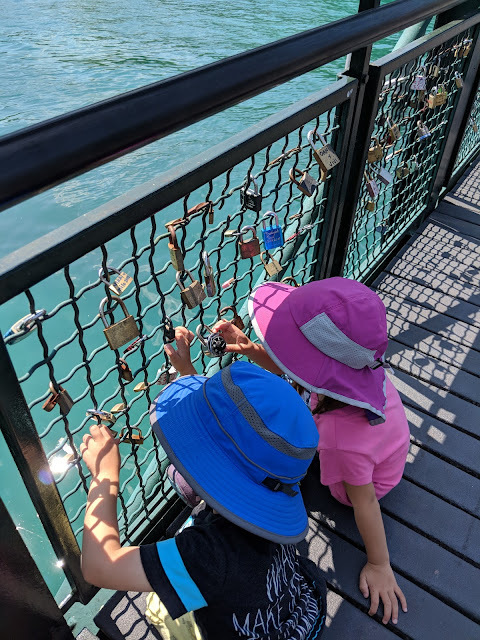 In Zurich, on Mühlesteg bridge, you can come across some love locks. Mühlesteg bridge is a foot bridge crosses the Limmat river, linking Limmatquai and Bahnhofquai. There are approximately 3,000 padlocks on the bridge as of July 2014. What's your opinion on Love Locks? The littles had a great time doing a scavenger hunt for the smallest lock, the brightest colored lock, the heart shaped lock and etc.